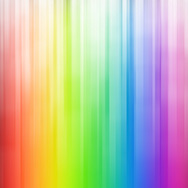 The spectrum of visible light—that is, what the human eye can see—emitted by the sun is made up of the colors of the rainbow, with wavelengths of 390 nm to 700 nm (nm = nanometer, a measure of length, specifically, 1 billionth of a meter). As mentioned, HEV light is also emitted by common devices we use or are exposed to all day long: televisions, fluorescent bulbs, at-home light devices for acne, computer monitors and smart phones. So, what can you do to protect your skin from HEV light? Daily application of a broad-spectrum sunscreen is the logical first choice, given that the sun emits a large portion of blue light that sunscreen can protect from. But don’t reach for just any sunscreen: You want one that’s rated SPF 30 or greater and contains plenty of antioxidants, a research-proven combination that Paula’s Choice uses in all of our sunscreens. Antioxidants are found in well-formulated sunscreens as well as in specialty products, boosters and moisturizers. When applied to skin, these antioxidant-loaded products help defend and minimize the chain reaction of damage before it visibly impacts your skin. Enable the “night mode” settings on your portable digital devices permanently, which significantly reduces the blue light in favor of harmless yellow light.